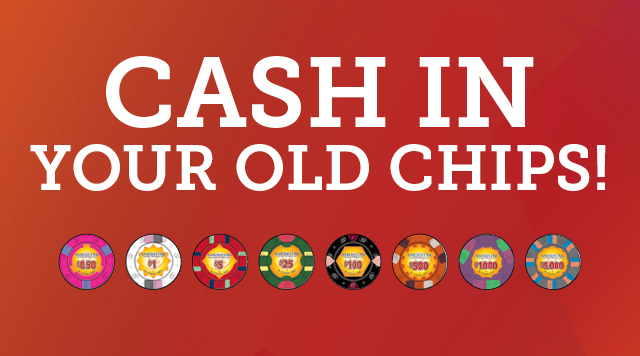 AMERISTAR IS EXCITED TO ROLL OUT OUR NEW B CONNECTED GAMING CHIPS AS OF FEBRUARY 6, 2019. The previous version of gaming chips are being discontinued and can only be redeemed at the casino cage. If you have any of the discontinued chips you can redeem them until June 30, 2019. Offer not valid to persons on a Disassociated Patrons, Voluntary Exclusion or Self Exclusion List in Missouri, Indiana, and Ohio or who have been otherwise excluded from participating property. Must be age 21 or older to gamble. Gambling problem? Call 1-888-BETSOFF. ©2019 Boyd Gaming Corporation®. All Rights Reserved.